Italian architect Carlo Ratti has grown a series of arched architectural structures from mushroom mycelium, which will be returned to the soil after Milan design week is over, in a fully circular fashion. The Circular Garden installation comprises a chain of 60 four-metre-tall arches, matching a form used often in the work of Catalan architect Antoni Gaudí. End-to-end the chain measures a kilometre ? a "record" length for the fungus material. 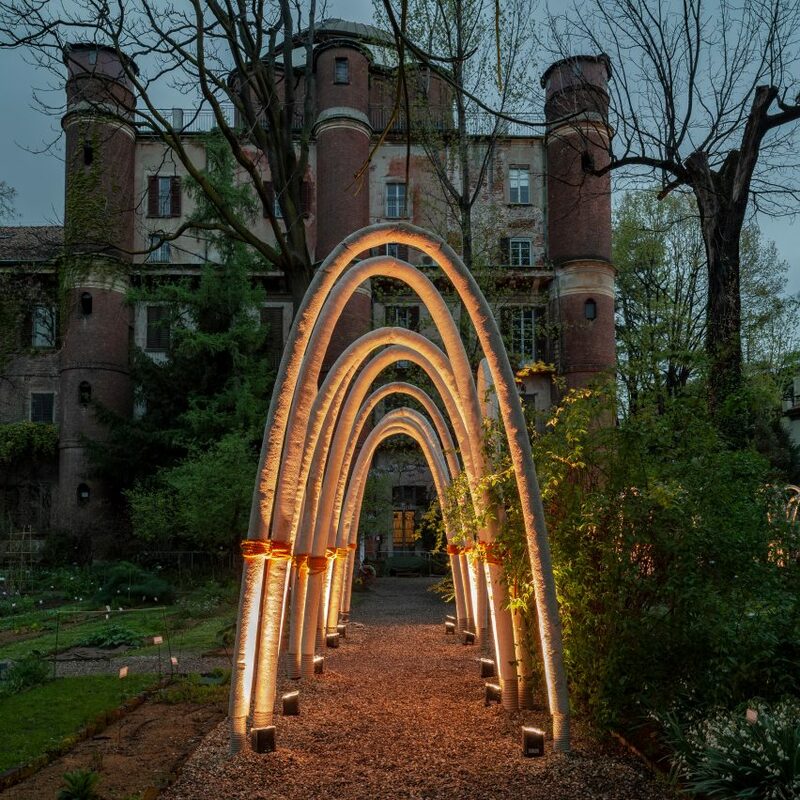 Found dotted around the Orto Botanico di Brera botanical garden in Milan, the archways were grown organically "just like real mushrooms" over a period of six weeks from mycelium ? the fibrous root of mushrooms. Spores were injected into organic material to start the growth process, with help from mycology researchers at the Krown bio lab in the Netherlands. The arches are assembled in groups to form a series of four architectural "open rooms" positioned in different spots around the garden. Designed in collaboration with global energy company Eni, they will remain on view in the botanical garden until 19 April as part of the city's annual design festival, before being shredded and returned to the soil as compost. "Nature is much smarter architect than us," said Ratti. "As we continue our collective quest for a more responsive 'living' architecture, we will increasingly blur the boundaries between the worlds of the natural and the artificial."